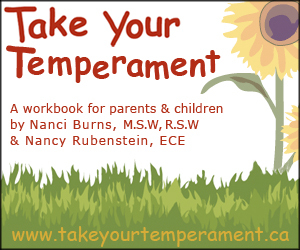 Adaptability: On The Temperament Wheel, is your child high or low? Acknowledge his successes in adapting to change, such as going from supper to the bath. This helps your child feel good about his day. Use play to take small steps toward big changes that are on the horizon. For example, if your baby is very attached to eating from a blue plate—and you know that this can't last—make a game out of eating from different coloured plates. This helps your child learn to adapt to changes that cannot be avoided. This will make her social and emotional life much easier. 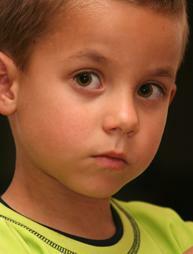 Use the "small steps" approach to help your child adapt to unavoidable changes. When you break down big changes into small steps, it makes them less traumatic. 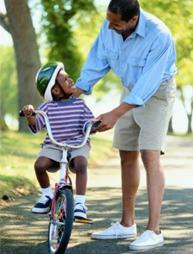 This also helps your child learn to trust you to guide him through life's big challenges. Show your baby that you are thrilled when she makes a choice for herself. Provide your baby with play opportunities where he is the leader. For example, let him decide what to play and where to play. This helps your child learn to be a leader—even though he more naturally accommodates to others wishes. Teach her who to trust and who not to trust. This helps her learn to evaluate people, and not just go along with whoever is around.